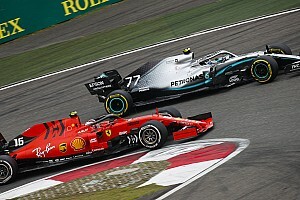 Red Bull Formula 1 driver Daniel Ricciardo says he sees "some appeal" in a potential move to a team like McLaren or Renault, especially because of what Lewis Hamilton has managed to accomplish at Mercedes. 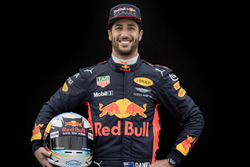 Ricciardo's current deal with Red Bull runs out at the end of the year, and while the team is keen to keep him on board, the Aussie has also been linked to F1's other powerhouses Mercedes and Ferrari. 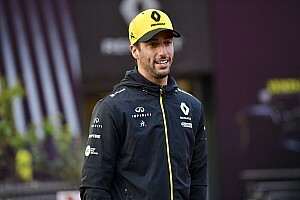 But the interest in Ricciardo is not limited to the top three teams, as Renault had tried to sign him as part of the engine deals reshuffle of last year, while a possible McLaren bid for his services was reported this week in German media. 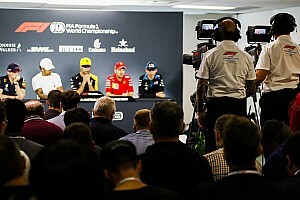 Ricciardo has stressed that his priority "was to try and get a car that can win the world title" - but when asked whether he had any interest in building a team like McLaren or Renault around himself, despite the fact they weren't currently among F1's elite, he responded affirmatively. "I'm not going to say 'no, it doesn't interest me at all'," he said. "Probably more 'cause [of] what Lewis was able to do with Mercedes. "And I know that, if you're saying those two teams, they're not quite in that position yet - but could they be? Maybe. 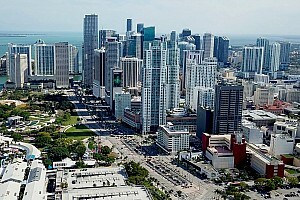 "The thought of that, it has some appeal. I wouldn't say it's probably top of my list right now, but I wouldn't dismiss it, also. "Obviously McLaren and Renault aren't there [out front] today, but maybe they will be there in a year or three years' time." 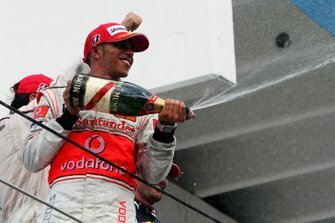 Hamilton shocked F1 with his move from perennial frontrunner McLaren to Mercedes back in 2013, but was rewarded with three drivers' titles since, with the Silver Arrows emerging as the dominant force of the hybrid era. "Lewis pulled the trigger pretty well," Ricciardo added jovially. "Whether he fluked it - he says that he really knew it was going to happen, I don't know. "Obviously he's done well for himself with that move. So, whether it's just a fantasy for everyone else, I don't know, but at least there's a little bit of proof that something like that could potentially happen again." Drawn on the specific reports of the McLaren bid, Ricciardo stressed he hasn't been "presented anything", but reckoned interest from the Woking-based outfit would be logical. "I'll be honest, obviously, everyone's talking about Mercedes and Ferrari for potential places for me to go, but I'm aware that there's obviously going to be interest from other teams, and I guess McLaren is probably one of them," he said. 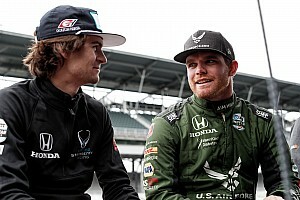 "Probably depends as well on what Fernando [Alonso] does, if he stays, if he goes. If he does go, then I guess, yeah, they'd probably want someone, a more experienced driver to come in. "I guess we'll see. There's a lot of things to weigh up right now, but nothing really further to comment on that." 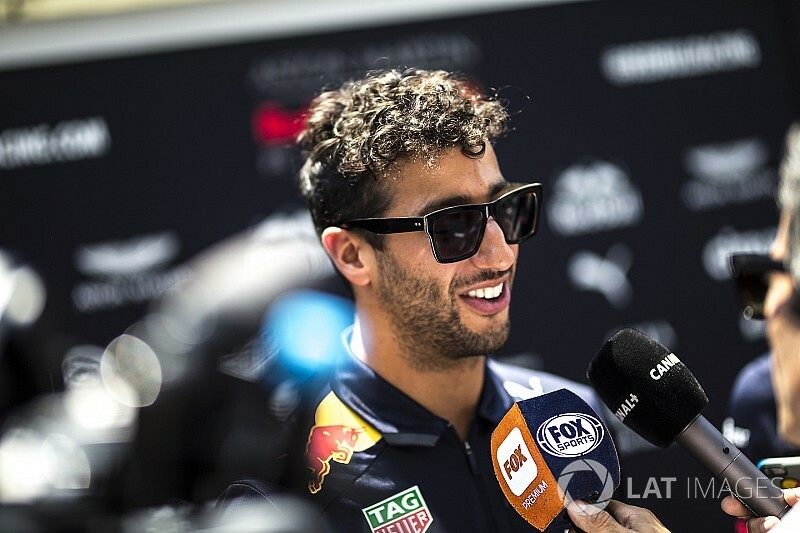 Among the main things for Ricciardo to "weigh up" is his current Red Bull team's 2019-20 deal to use Honda engines, which was officially announced earlier this week. "It was something I was in a way already trying to prepare for or calculate in my mind," he said. "Just going to try and understand a little bit more about it now that it's definitely happening, and just to try and keep putting the pieces together if it's a good move. 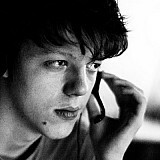 "There's certainty a lot of pros. Just trying to add it all up, really, in my mind."